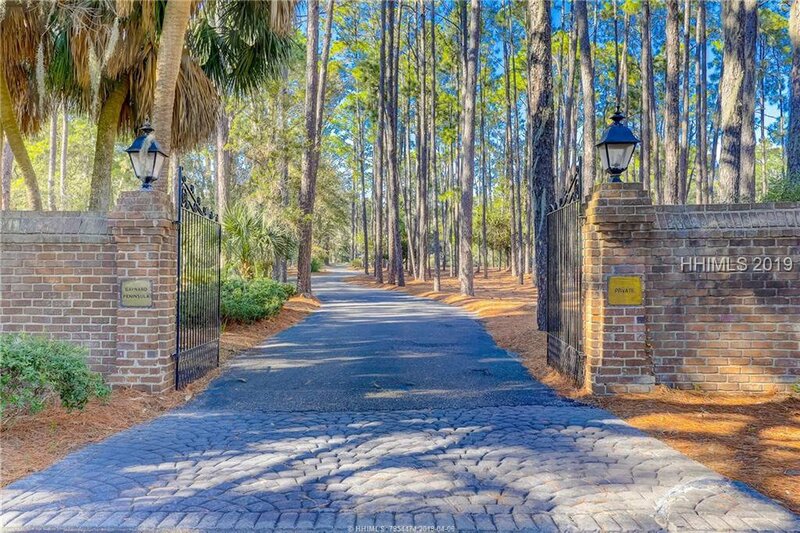 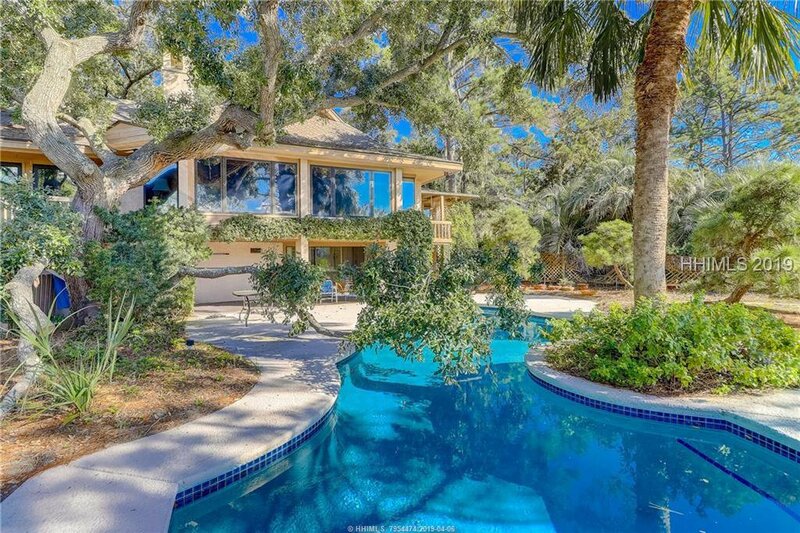 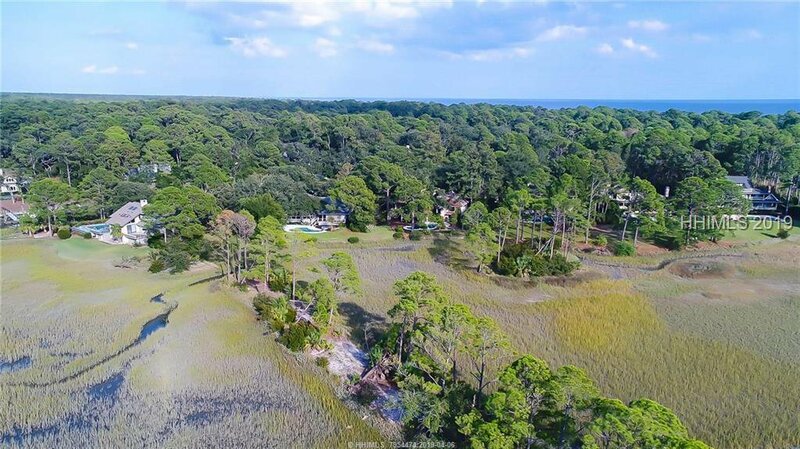 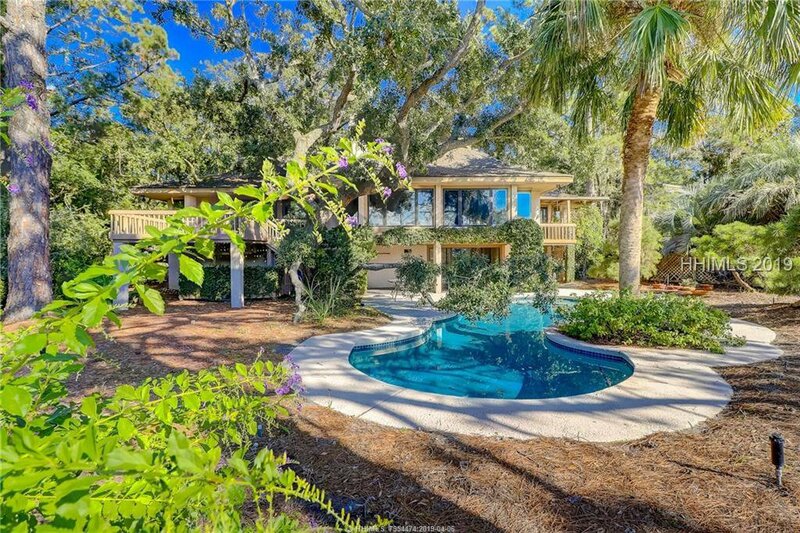 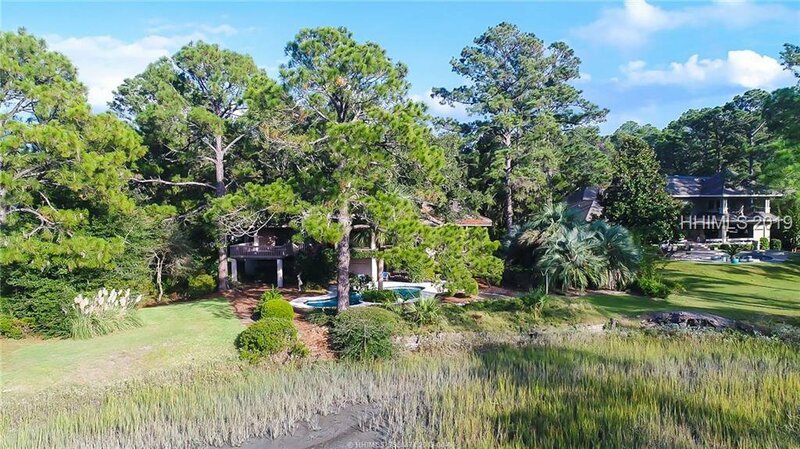 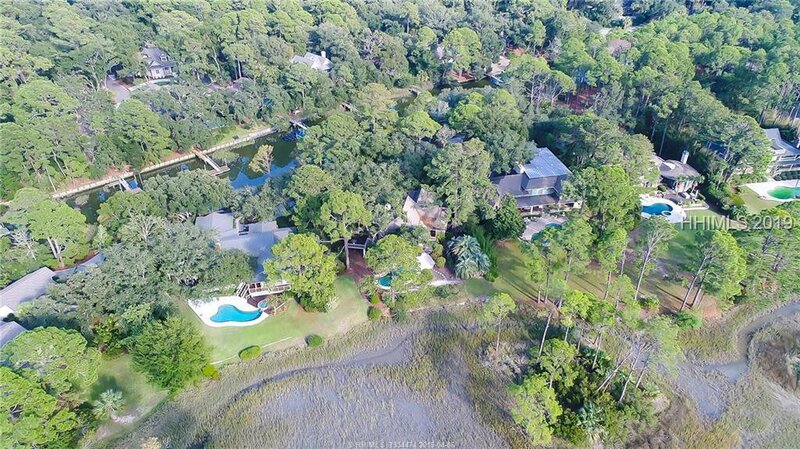 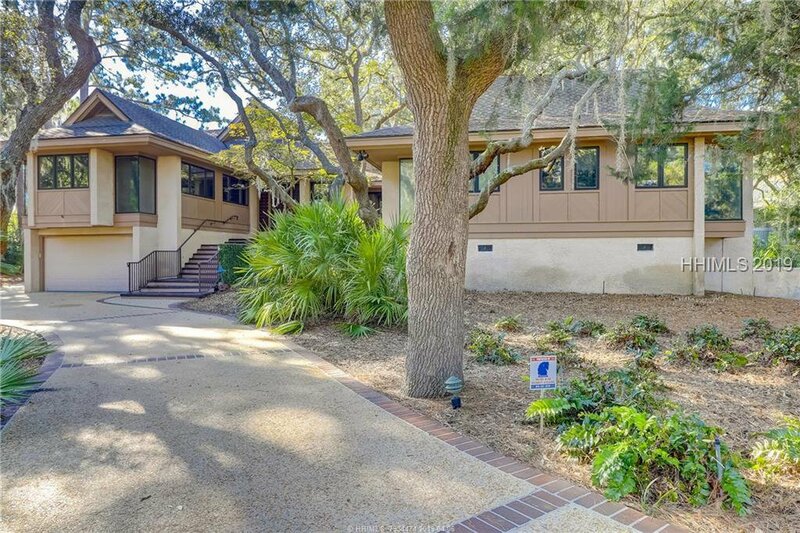 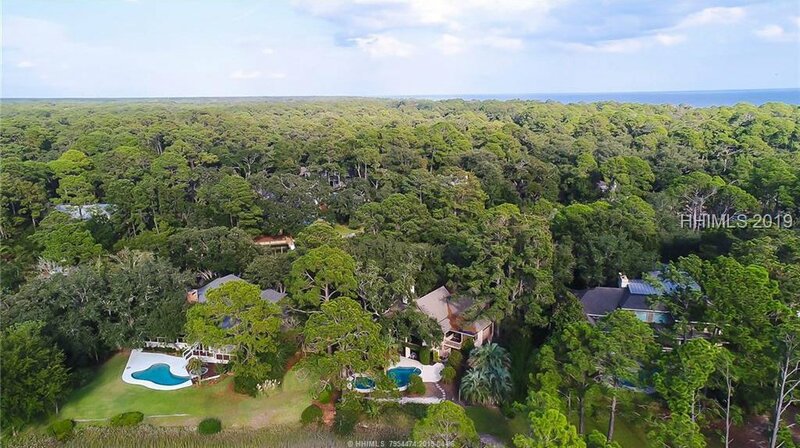 Unique property located in the quiet & prestigious Baynard Peninsula, easy walk to beach & long marsh views out to Calibogue Sound. 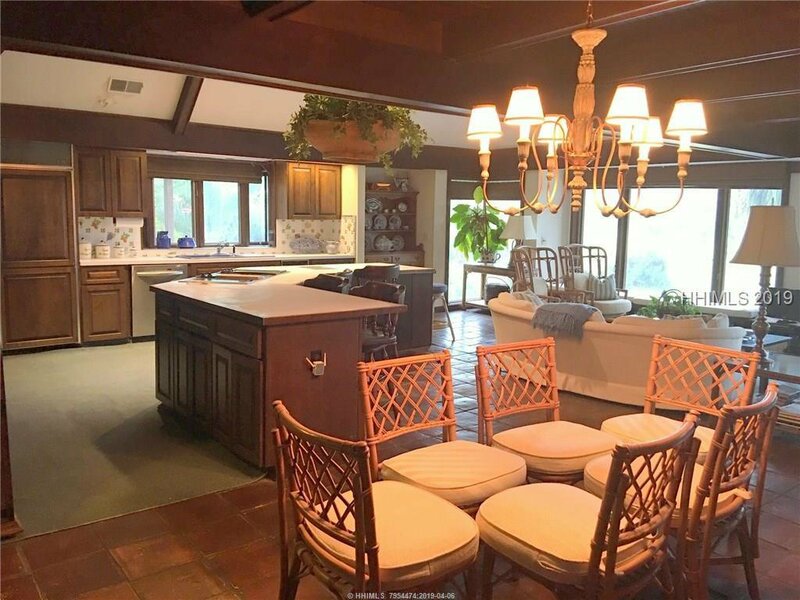 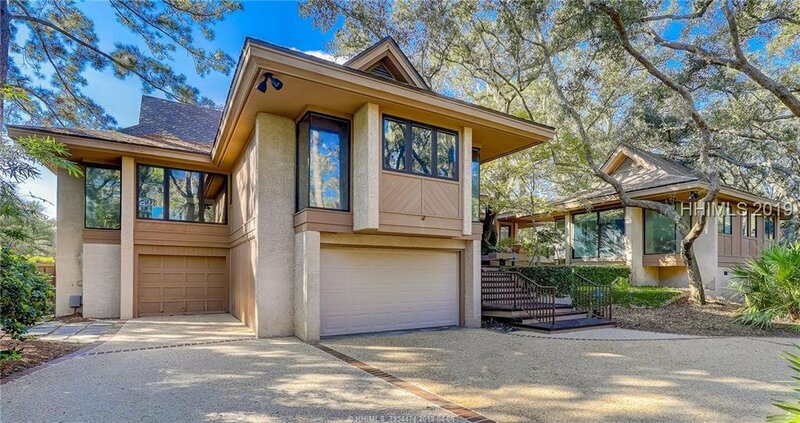 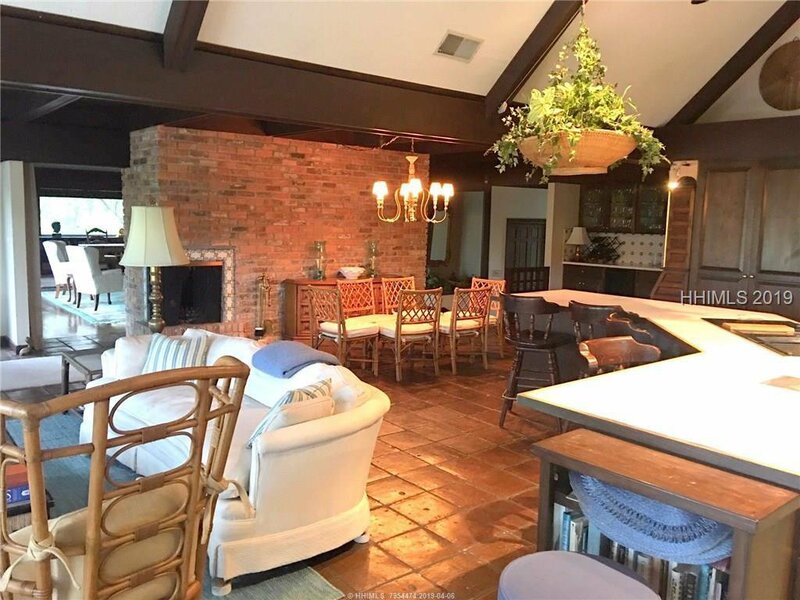 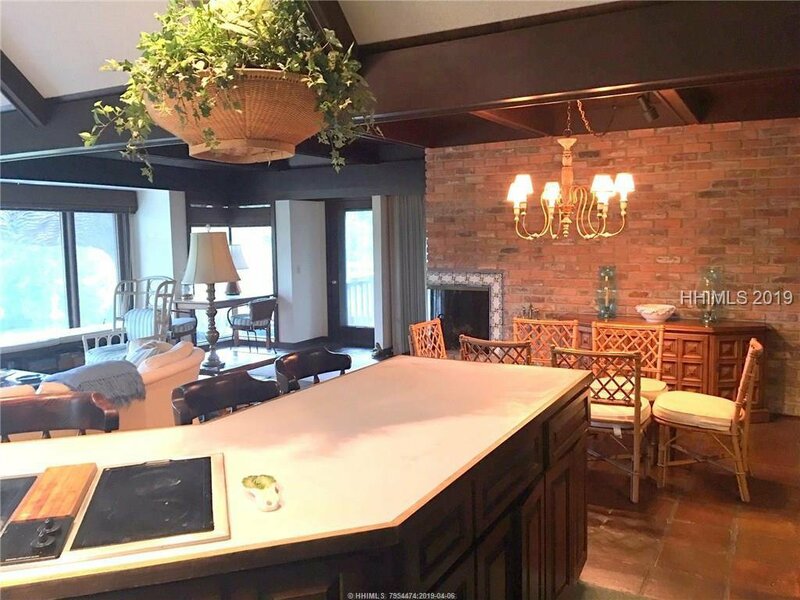 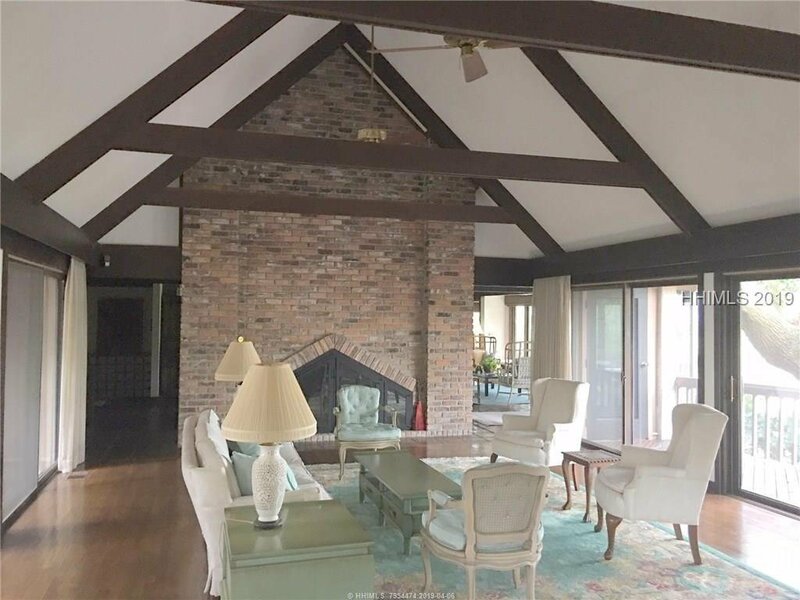 Restore this home to its former grandeur, remodel to meet your needs & enjoy this idyllic setting. 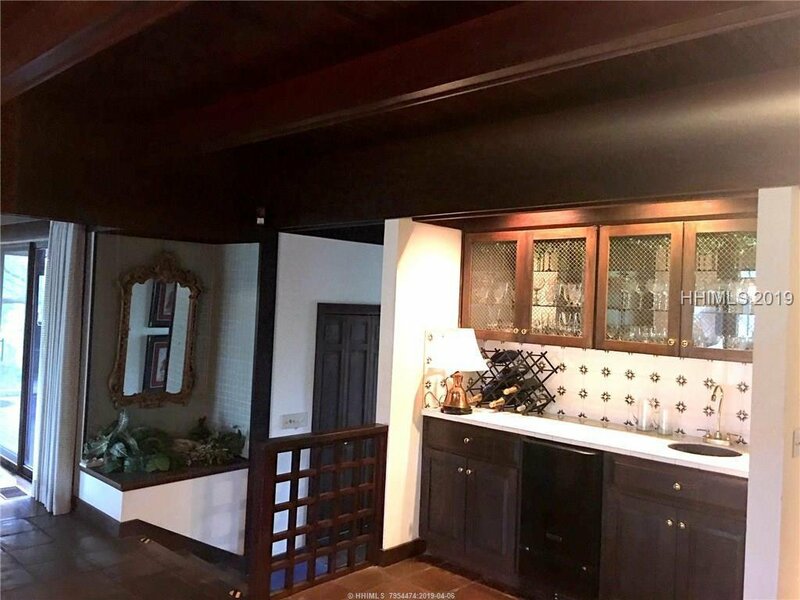 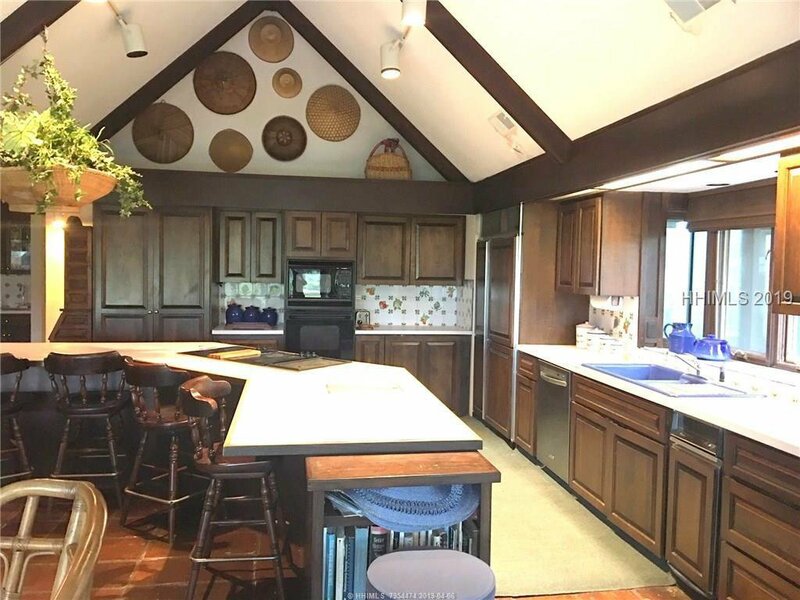 This 4 BR, 4 1/2 BA home has a grand open great room with vaulted ceilings & open kitchen, dining & family room area. 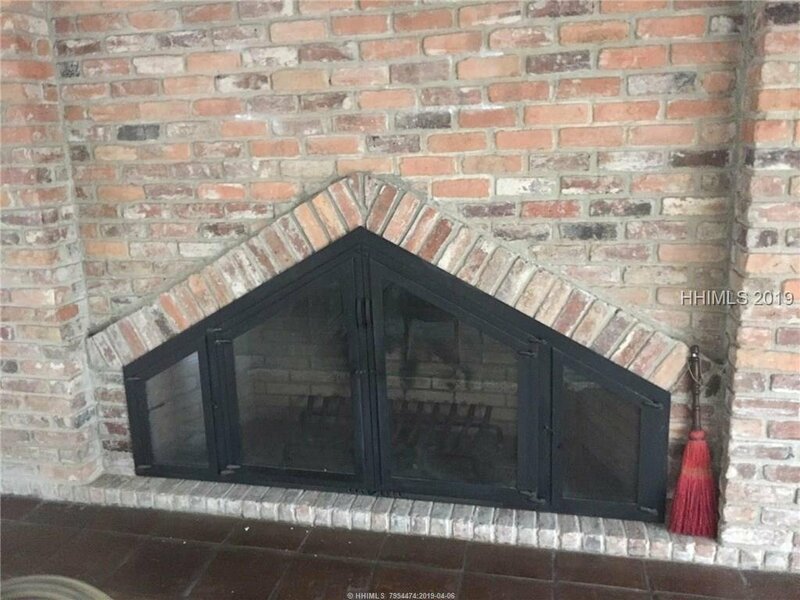 Two fireplaces for chilly evenings. 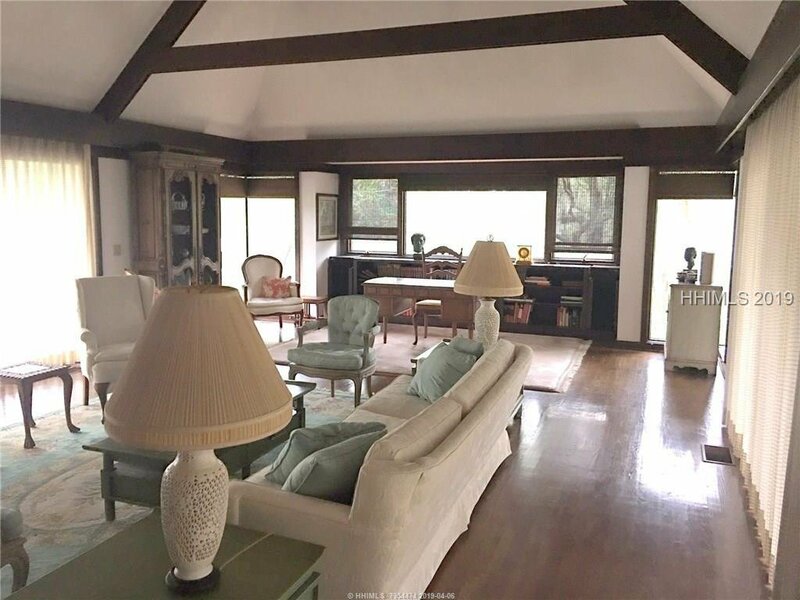 Two of 4 BR's are in the guest house, perfect for visiting guests. 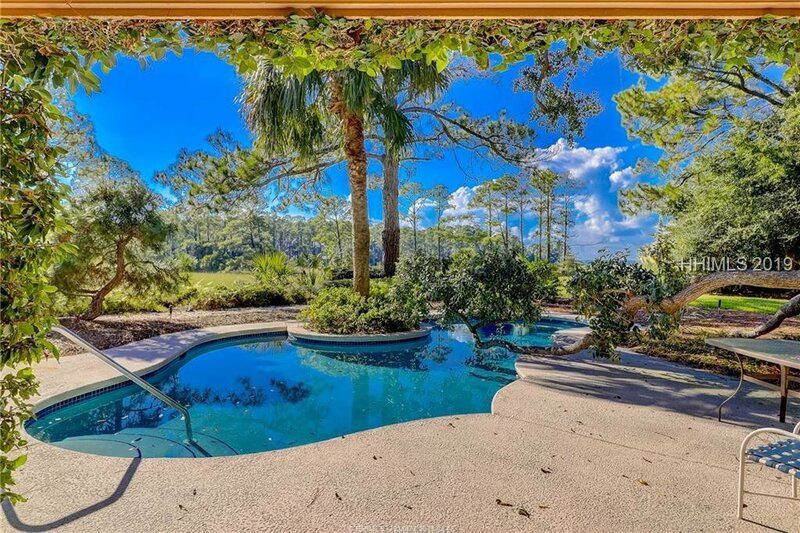 Pool is nestled up to the picturesque marsh. 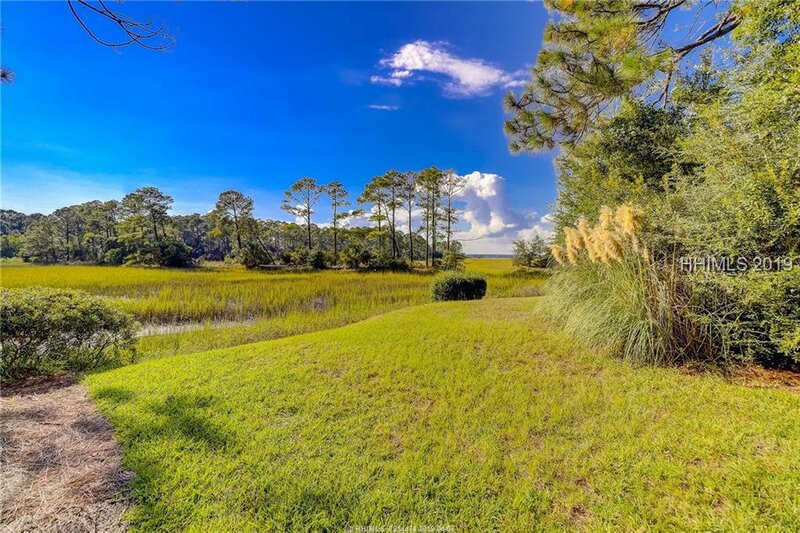 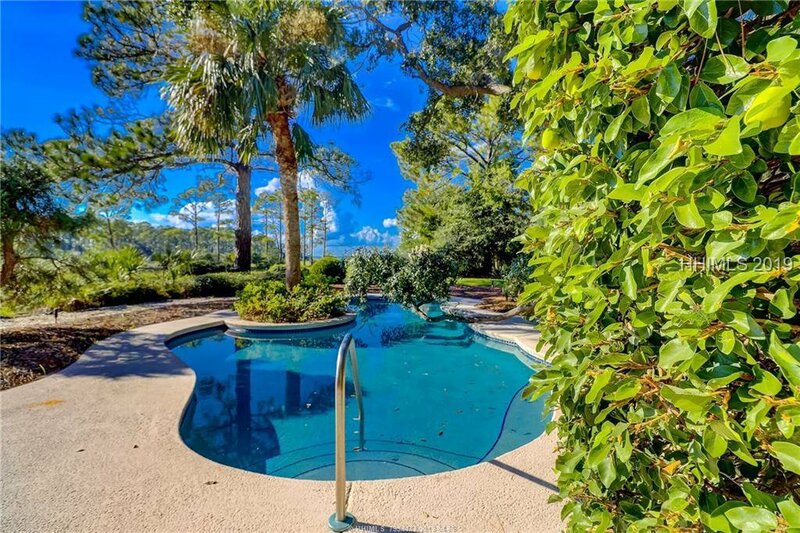 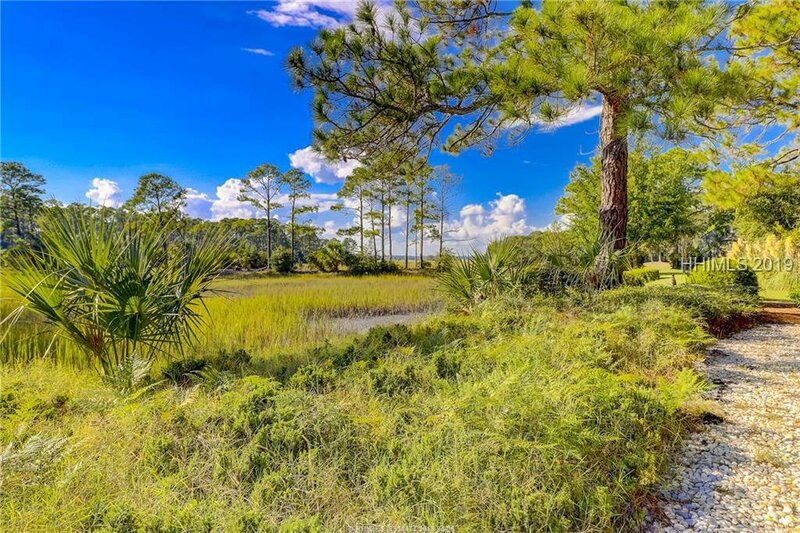 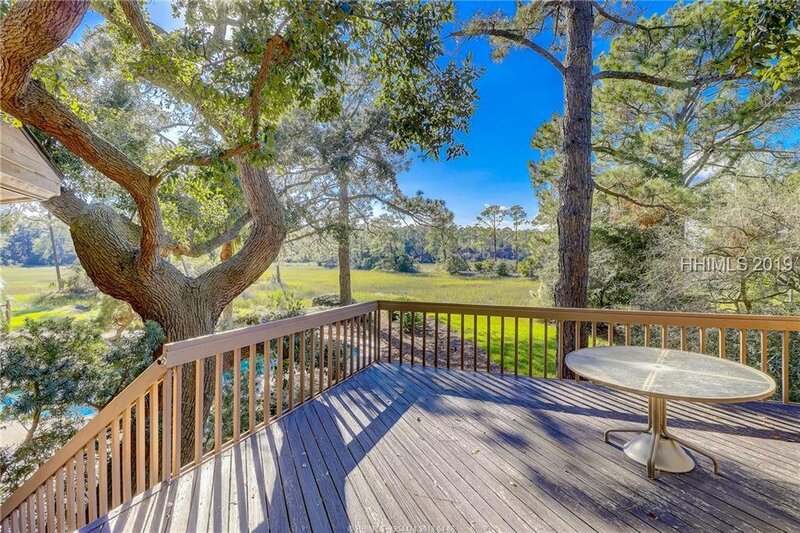 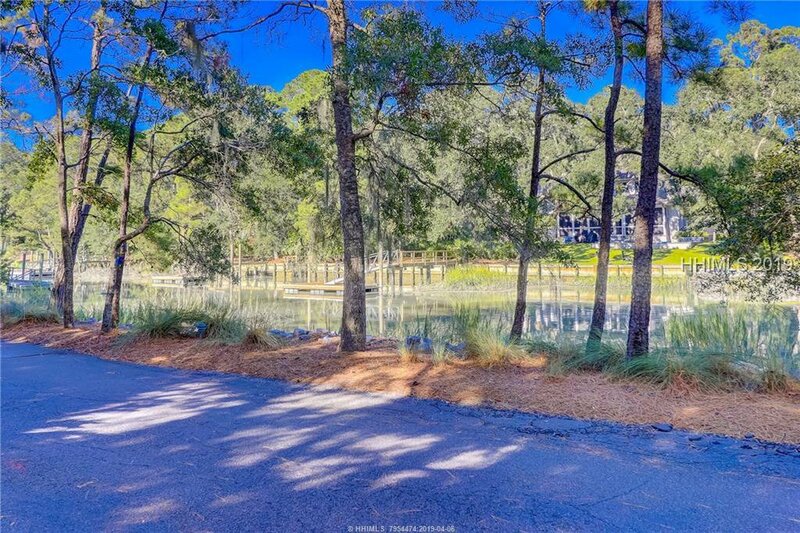 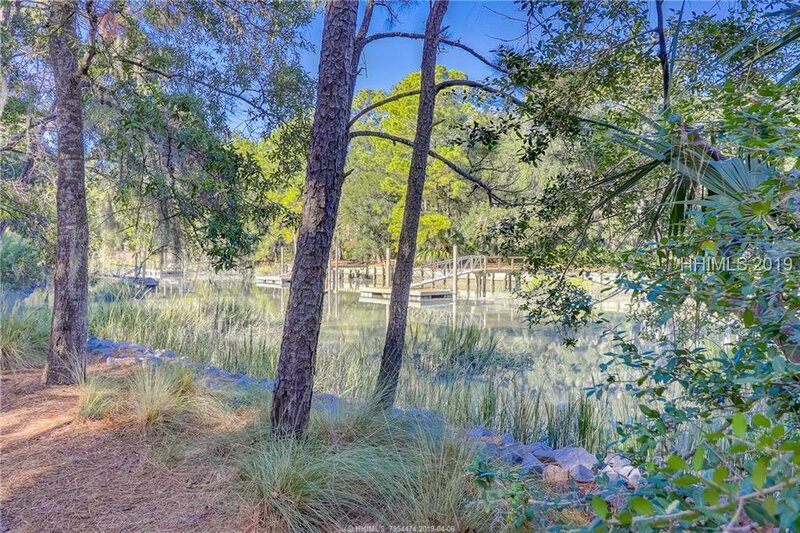 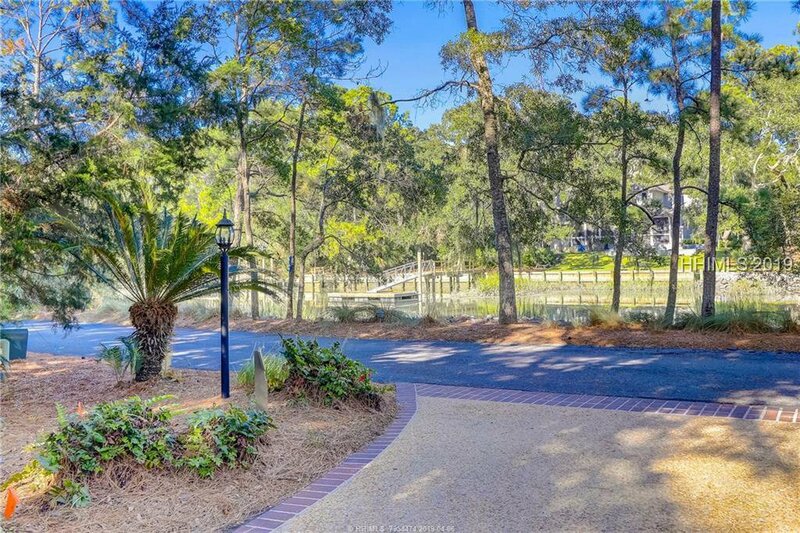 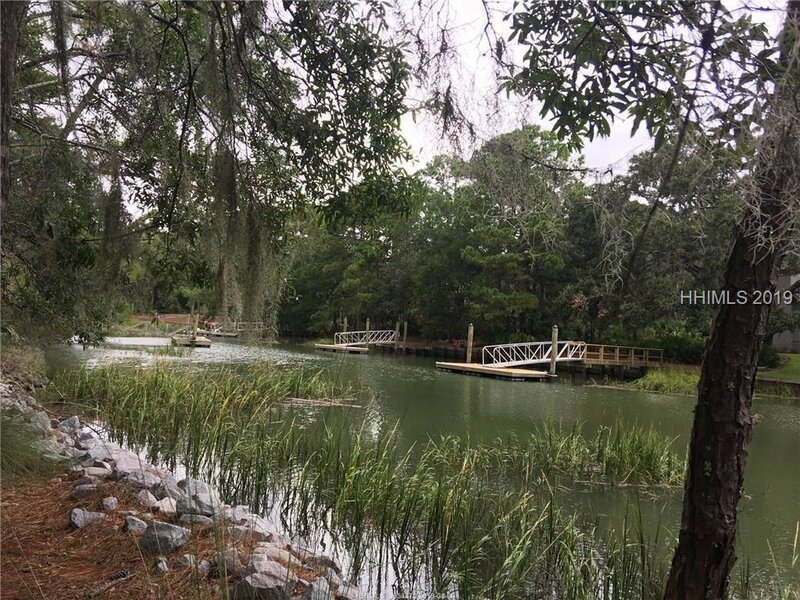 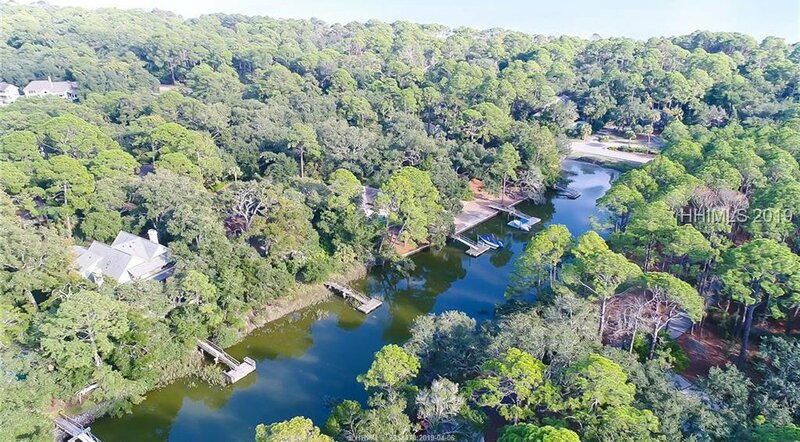 Across from the front of the home is Baynard Cove Creek & you could build a private dock for kayaks or small boats. 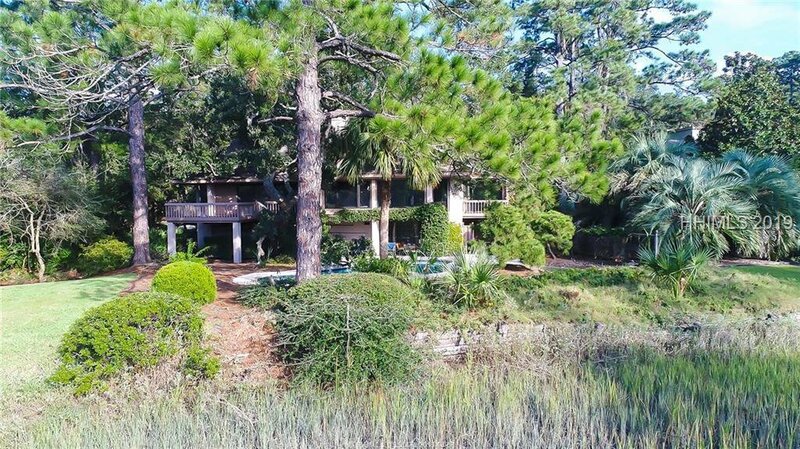 No short term rental homes allowed.